I love grilled food. 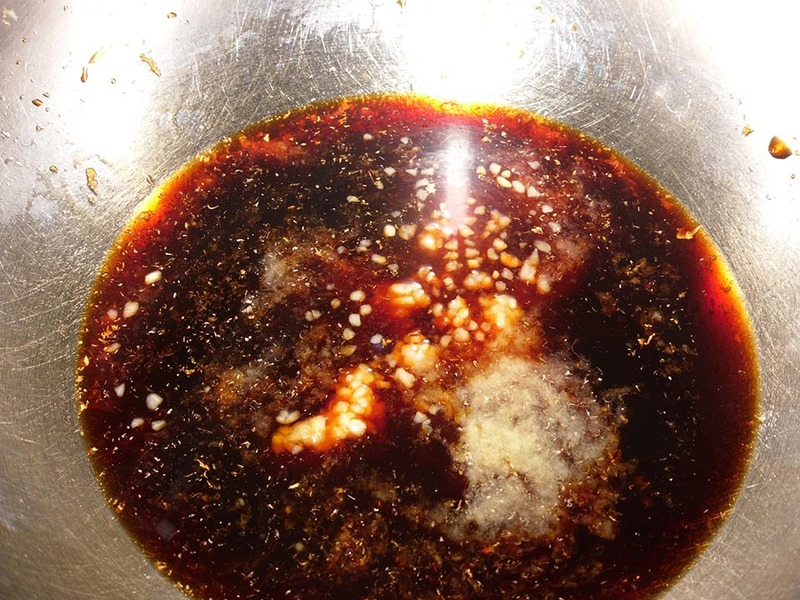 I don’t really care for cloyingly sticky sauces or heavy char from sugary sauces. Asian style barbeque is perfect for my sauce to meat to char ratio requirements and high expectations. As a quick aside, I urge you to use chicken thighs. For everything. First, they’re cheap. Even boneless and skinless they are cheaper than breasts on the bone. Second, they have a lot more flavor than breasts. The higher fat content is perfect for grilling, they pick up that smokey flavor just swimmingly. it. Oh, but it occurs to me that I hardly ever include serving sizes. This recipe serves 3. I know, wierd. There’s two of us and 1 more serving for a lunch the next day. It’s hard to mess up the marinade so increase serving to your heart’s content. Like I said above, throw everything in a zip top bag, or a bowl if marinating on the counter, seal and mix the ingredients around with your hands. Place in the fridge for 1-2 hours or out at room temperature for 30-45 minutes. your chicken on the fire skin side down, reserve your marinade. 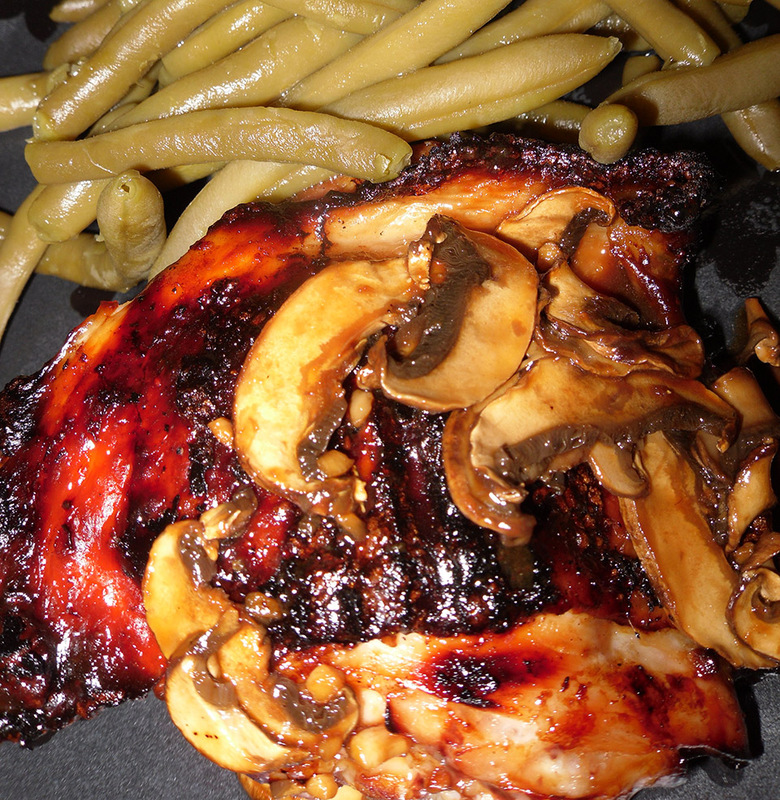 While your chicken is grilling, use the remaining marinade and chopped mushrooms to make a quick pan sauce. Saute half a cup of sliced button mushrooms in 1 tablespoon of butter. 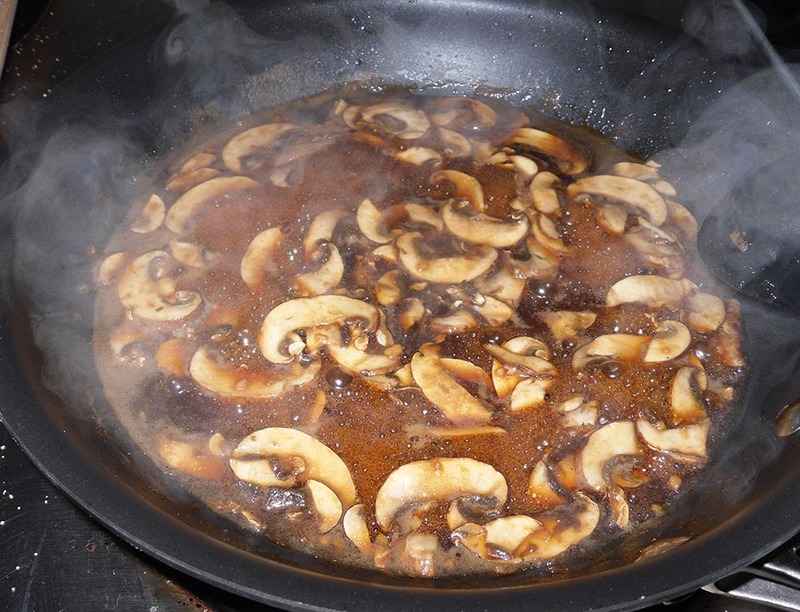 When the mushrooms have reduced in size and released their liquid, add the reserved marinade and bring to a boil. You MUST boil this sauce, it has been in contact with RAW chicken. 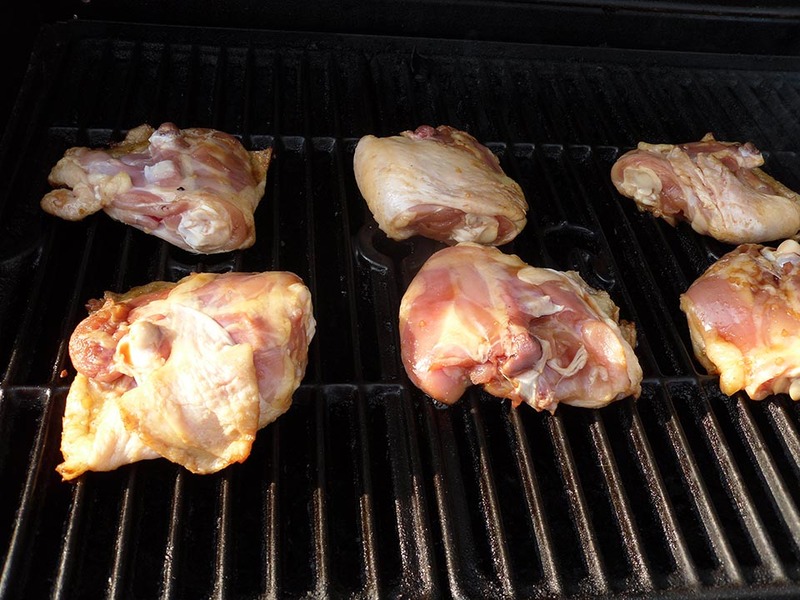 Pull your chicken off the grill when its done, let it rest before serving. 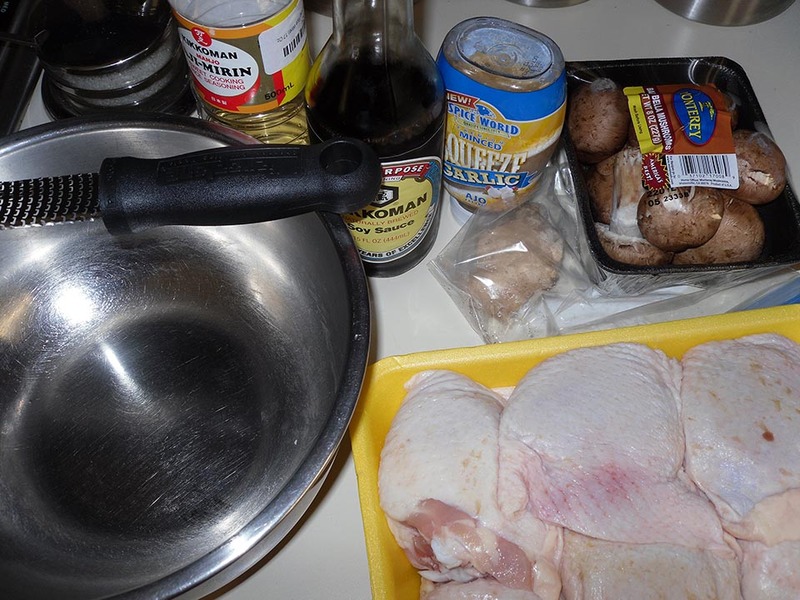 Spoon the mushroom pan sauce over the chicken for a nice finish. So good! Plus, it’s quick and easy.